Will you be on a regional trip soon? Whether you’re planning to have a grand vacation or you’re gearing up for a business conference, the Hawker 900/900XP lets you reach your destination fast. This medium jet can eat up to 9 passengers as it also includes a heated luggage compartment, sufficient enough to carry your essentials. To ensure utmost comfort throughout your flight, the Hawker 900/900XP also has a lavatory. With its high service ceiling, you can also trust to have a comfortable cabin as you overlook the plane’s aerial views. Drink in the skies, landscapes and seas, and you’ll be sure to have a memorable flight each time you hop aboard the Hawker 900/900XP. Compared to other medium jets within the same performance category, the Hawker 900/900XP also has a much lighter weight. This plane’s sturdy rides can let you enjoy your flight further since it has lesser mechanical bulk with its body or fuselage. At its maximum capacity, the Hawker 900/900XP can fit up to 11 passengers per flight. As a medium jet, the aircraft never fails to impress its potential passengers with its range. This plane can take you as far as Georgetown, Guyana at South America, if you’re coming from Ontario. You can even take on an adventure at the Port of Spain and have a vacation. When on board this flight, you be sure to be well-rested as it has the complete facilities needed during a midrange trip. To enjoy your flight aboard the Hawker 900/900XP to the fullest, it would be advisable for you to confirm its specialized facilities. This way, you can plan out your in-flight activities for the next 5 hours or so. The Hawker 900/900XP flies much farther than the regular medium sized jet. This high powered jet has been upgraded with winglets to ensure a much smoother glide during route changes. Featured by two Honeywell engines, this plane can fly from or to a 1,800 runway. This means you may still consider having other airport options to make your flight plan much more efficient. 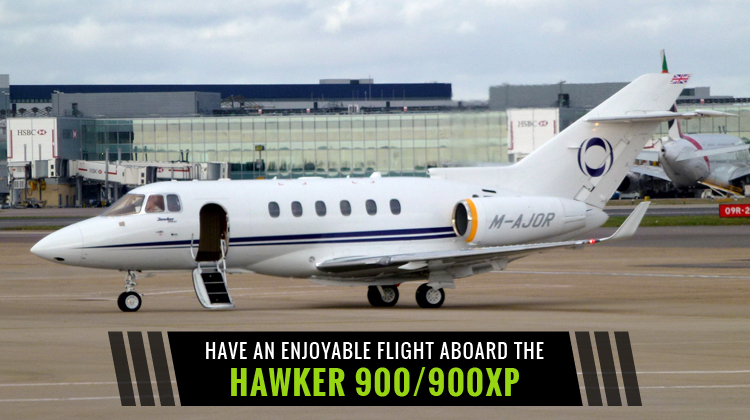 If you’re looking for an efficient and fast midrange plane, the Hawker 900/900XP can exactly meet your needs. Be sure to confirm the number of people flying with you, along with the amount of luggage you’ll be bringing. This way, your charter service can estimate the schedule of flight you’ll have, on your way to your intended location. 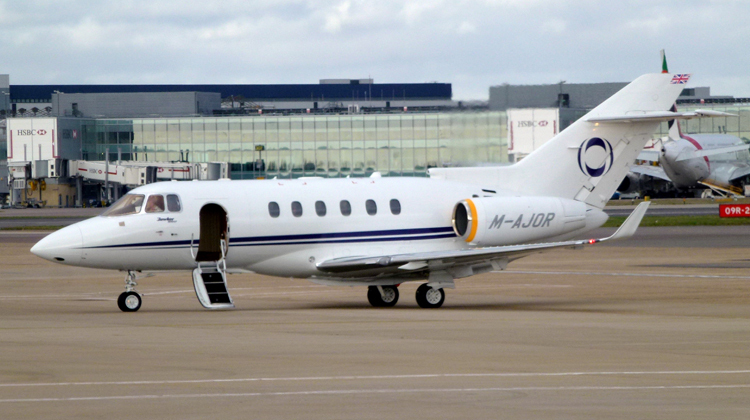 The Hawker 900/900XP was developed as a variant of the Hawker 800, for purposes of increasing range. It was specifically upgraded with Honeywell TFE731-50BR engines and it has various organizations as its users. These include civil and government based flights. Its latest improvements were implemented during the year 2006, where aerodynamics, ease of glide and fuel efficiency were prioritized through added wingtips.